Bridging the gap between localization and content performance is becoming increasingly important as global businesses and marketing departments strive to align marketing spend with measurable business results. Gurdeep Gola, Managing Director and Head of Digital at Adapt Worldwide, a Welocalize multilingual digital marketing agency helps customers to understand why content optimization, particularly the transcreation process, can be a business driver to achieving ROI. 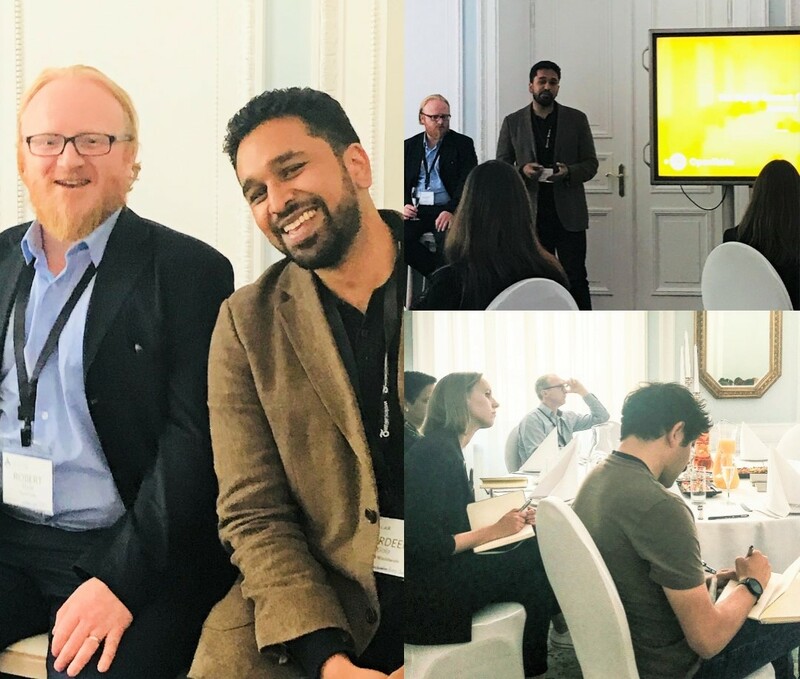 Gurdeep Gola and Robert Shaw, Content Manager at OpenTable at LocLeaders IdeaLab in Warsaw, Poland, present an analysis of OpenTable’s global web properties and strategies for optimizing multilingual content. As localization becomes more deeply entwined with the digital world, the challenges facing localization teams are changing. Transcreators are becoming much more widely integrated into digital processes, and as a result, we’re seeing a change in accountability. As the discipline makes the move to digital, its key performance indicators (KPIs) are following along with it. In the past, translation was assessed on linguistic metrics – the most important of which was quality. As the discipline evolved, giving birth to transcreation, quality metrics began to expand. Quality didn’t just mean accuracy and fluency, it also meant keeping the feel and purpose of the message and creating that similar emotional intent for a new market. Good transcreation takes a message in one language and refines it for another while preserving the emotion or deeper meaning behind the piece. Transcreation is morphing into digital transcreation. As this happens, localization teams are being held to new standards, standards which aren’t typically associated with localization. Digital transcreation focuses on the objectives of your copy as well as its performance. Rather than just looking at the strength of content, copy is judged on how it performs. Quality is measured by digital metrics, rather than subjective feedback from a native reader. As a result, it’s vital that transcreators understand the digital sphere. Effective digital transcreation requires knowledge of digital advertising platforms, character limits, and calls to action. Without this grounding in the digital market, transcreation will find itself at odds with the needs of sales teams. Sales teams are driven by revenue and ROI, whereas traditional transcreation is associated more with cost and quality. Digital transcreation meets in the middle, looking to provide ROI as always, but now based on digital performance, alongside certain quality standards. If localization teams can better understand the goals of digital content, they’ll be in a better position to understand the new challenges they’re facing. Take a product listing on an e-commerce page. In traditional transcreation, a product listing would likely be judged on how well the message carries across and whether the emotions of the original piece were felt by the new audience. With digital transcreation comes a recognition that it’s not just about emotion. It’s about conversions: how many new customers is your piece attracting? It’s about dwell time: how long are people spending on your page? And finally, it’s about SEO rankings: how does this copy contribute to a website’s overall performance. By understanding these new KPIs and the techniques that realize them – such as keyword usage or effective meta-titles – transcreators can maintain their goal of effectively carrying across a message, but also be adaptable enough to meet the needs of sales teams and promote sales themselves. Localization teams will continue to be judged differently as they delve further into digital. The notion of quality will change from accuracy to performance against ROI. Imagine two transcreated adverts – one focusing on accuracy and messaging, the other taking into account digital metrics. Both are of a certain quality, and while the first may be translated more accurately, the focus on digital metrics when crafting the second could lead to more conversions. If one ad isn’t quite as accurately transcreated but is able to better perform from a digital standpoint, purely in terms of ROI, it’s more of a success. The end result isn’t achieved solely through one discipline, it’s a combination of three. By combining digital marketing, linguistic talents, and copywriting skill, digital transcreators can create content that not only performs well across local markets, but consistently meets the needs of sales teams, thereby achieving undeniable success in the digital world.